OPEX is how we deliver fitness to all of our clients. OPEX is customized fitness in a team environment. Every client has the full support a coach off the floor, but they have the guidance of a coach on the floor as they train with the rest of the gym community each day. This training methodology is best defined by being more effective than group classes and more engaging than personal training. Instead of just telling you what it is, it’s more impactful to show you! You are our top priority, and we are here to ensure you not only have a great experience, but that you enjoy life more in AND out of the gym. You deserve to have a coach who knows exactly where you “sit” with your training in the gym as well as your enjoyment and progress out of the gym. OPEX Coaches are professionals who help guide your health and fitness journey for the long-run. Just because you have the full support of a coach off the gym floor and the guidance of a coach on the gym floor doesn’t mean that you shouldn’t enjoy your time in the gym with your friends and community. In an OPEX Gym, you’ll enjoy each day while you continue progressing for years! OPEX Coaches help guide your experience, they don’t force you into theirs. Everybody is unique; they have different wants and needs. 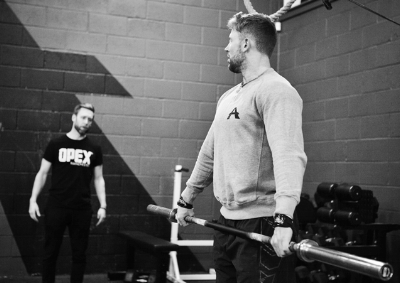 The beauty of the OPEX Experience is that your coach designs your fitness experience to make sure that you are aligned to enhance your life in and out of the gym. How Does OPEX Help You Get There? For us to give you an outstanding experience where you progress for years, we need to connect with you off the gym floor each month so that we can make sure that we are continuing to work toward YOUR goals given where life is at this moment for you. You will hear us say “Assess, don’t guess.” Until we understand where you are physically, we will NEVER design a training program for you. It’s through the assessment that we go through OPEX’s BMW System of – Body, Move, and Work. We will get a 360-degree view of where your program should begin. After you complete each training phase, we will reassess you so that we are always in alignment with you. OPEX is globally recognized as a leader in fitness program design. Your program needs to ensure that you progress properly. If poorly done, you would face injury or stagnancy. OPEX Coaches are Professionals who will see to it that your program helps you achieve your goals year in and year out. 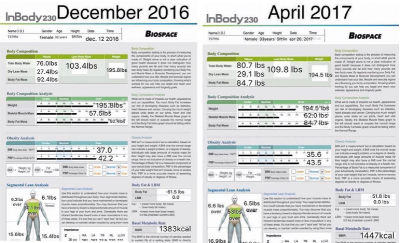 It would be foolish to give you a complex nutrition plan before you master the basics. Not only will we you find the perfect basics, we will also help you progress how you take care of yourself in and out of the gym so that you reduce stress, and improve the results you get in and out of the gym. OPEX is more than just fitness to us. It’s a constant evolution to live a larger life through fitness.